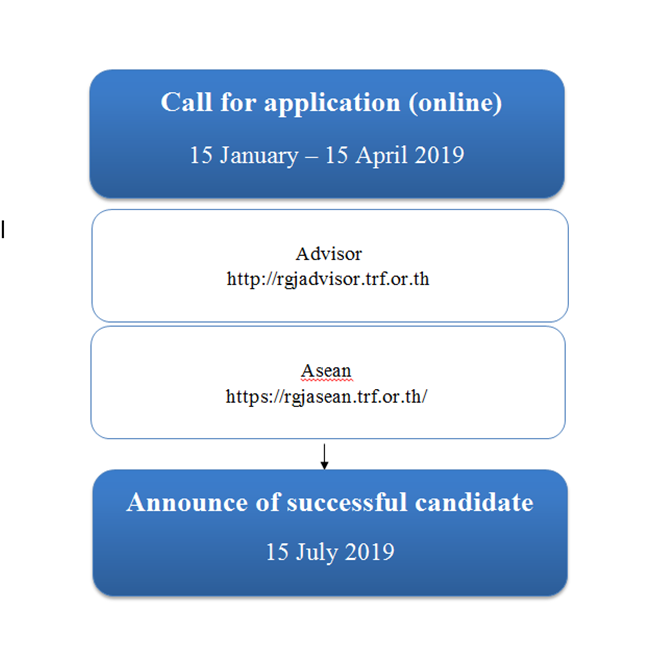 scholarship to pursue Ph.D. study in Thailand.Starting in 2017, students from ASEAN countries (Indonesia, Malaysia, Philippines, Singapore, Vietnam, Myanmar, Cambodia, Laos, and Brunei) can also apply for a full RGJ scholarship to pursue full-time doctoral studies in Thailand. 2) A three year full scholarship program for candidate who is pursuing doctoral degree starting with Master. *The reserve fund can be requested for tuition fee and research expense during scholarship extension period. **The students can request the fund for research presentation at international conference abroad.